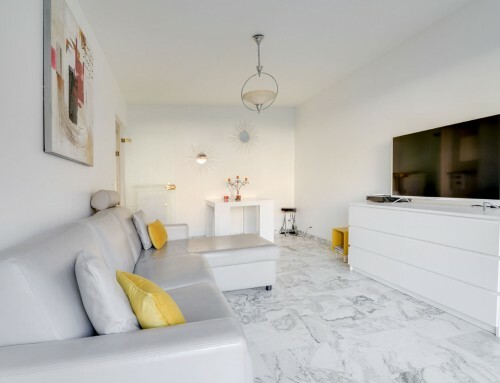 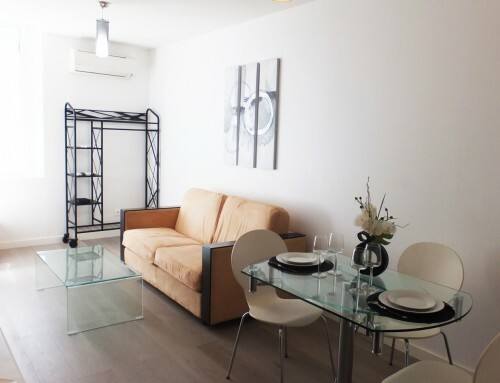 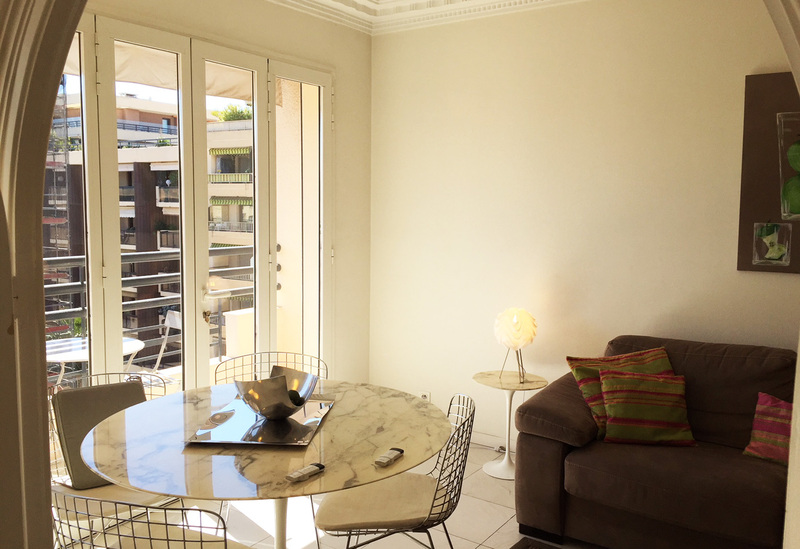 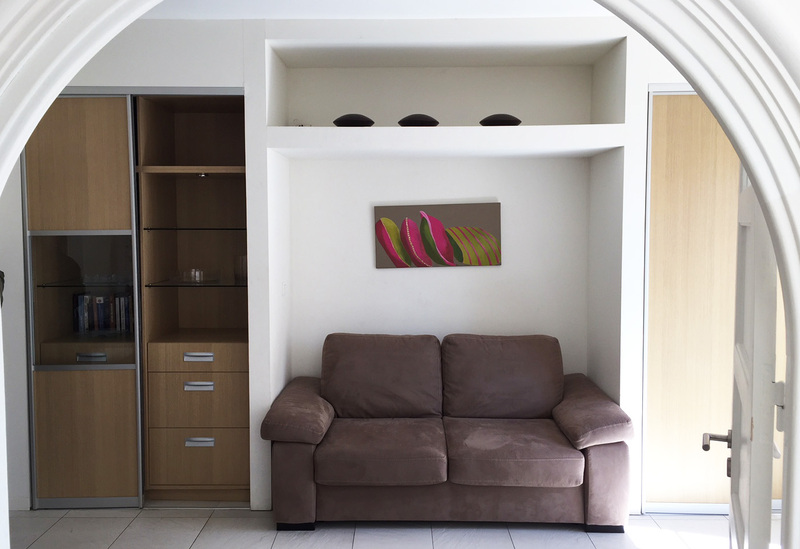 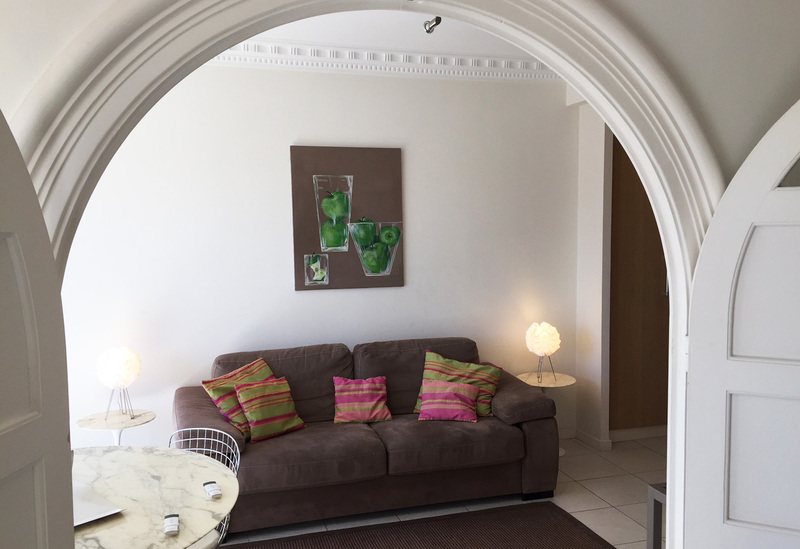 Charming modern one bedroom apartment behind Carlton Hotel. 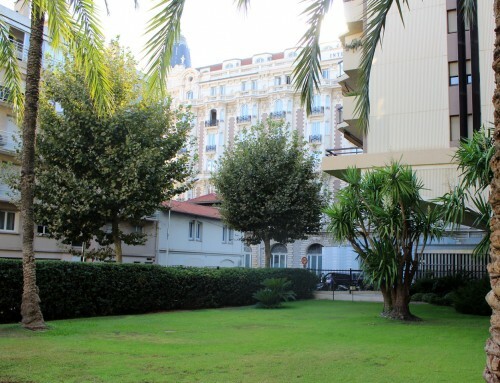 Croisette area, walking distance to the Palais des Festivals. 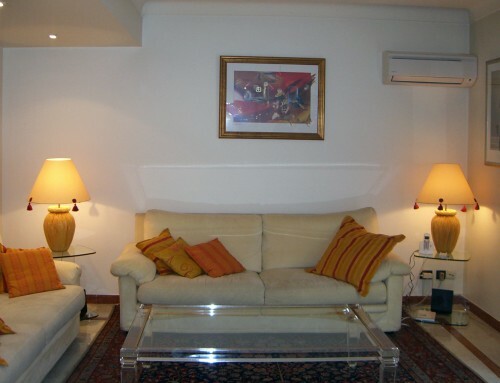 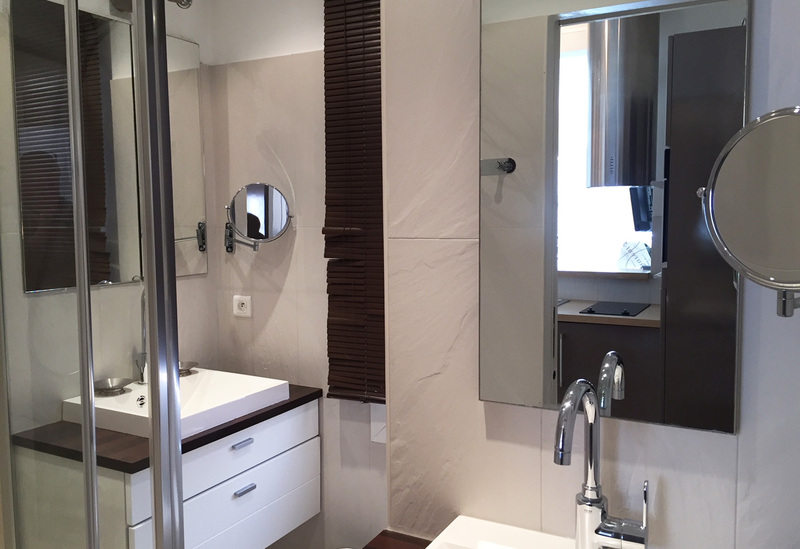 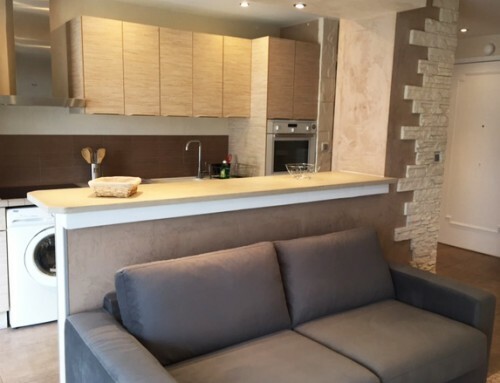 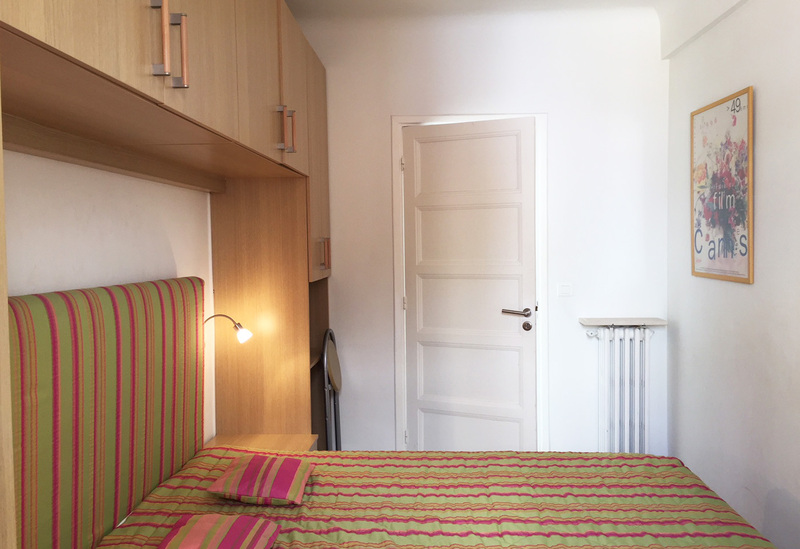 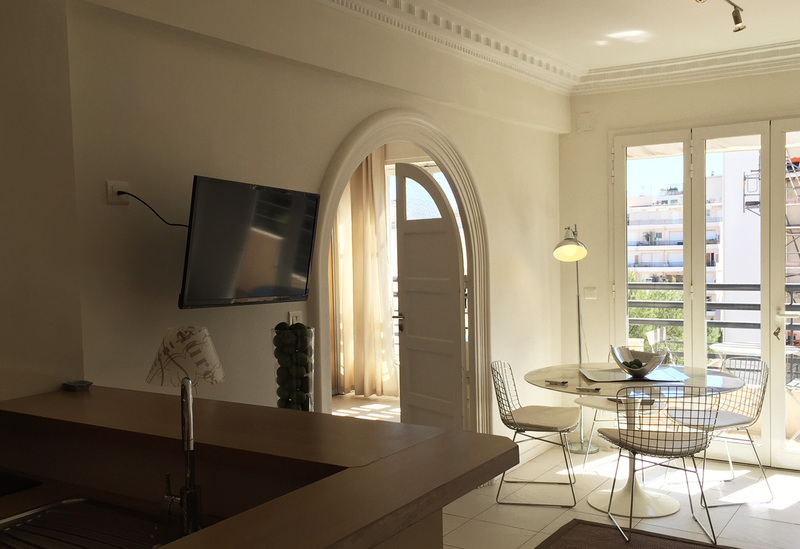 One bedroom Apartment – 5th floor with Elevator in a stylish Residence. 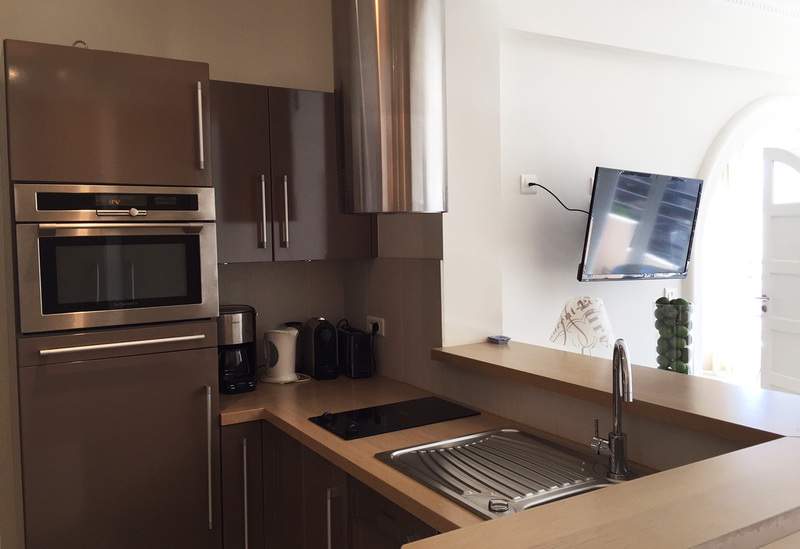 1 open kitchen – double living room with sofa bed – 1 bedroom (large bed) – 1 shower room with toilets – Television – Internet access – Portable Air conditioner.